It is a two-phase training program. In the first phase, ICFJ will conduct a six-week online course for 80 journalists on digital expression with the context of migration and social issues. Participants will be required to propose story ideas prior to starting the course so that the online training can help them develop their stories for more in-depth reporting. 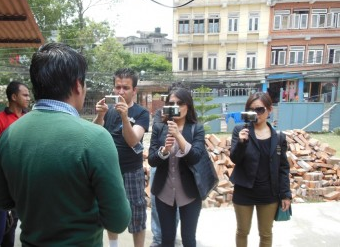 In the second phase, ICFJ will follow the online course with a five-day conference in Kathmandu, Nepal, bringing together the 25 best participants from the online course who proposed the best projects. The conference will include digital media training, panel discussions, site visits and small group breakout meetings. The course will be conducted in four languages: English, Hindi, Pashto and Urdu. This program is part of the South Asia Youth at Risk Training Program in 2013 and it is sponsored by the U.S Department of State. The deadline is Jan. 1. For more information about the course, click here and to apply, click here.